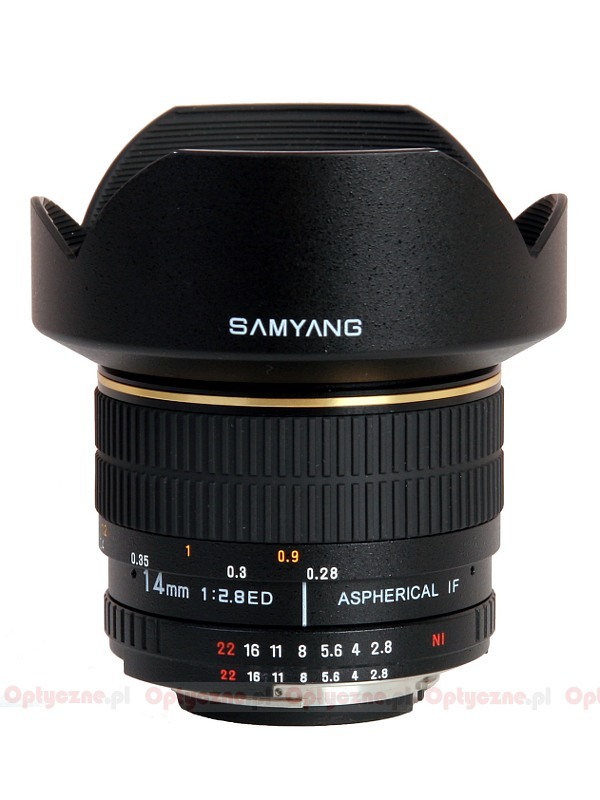 We haven’t had time to cool off after the premieres and good results in the tests, of lenses like Samyang 8 mm f/3.5 Fish-eye and Samyang 85 mm f/1.4, when the Korean manufacturer announced a new lens on the market. This time the time’s come for a full-frame ultra-wide-angle lens of 14 mm focal length. The standards have been set really high, as 14 mm give the angle of view as much as 114 degrees on a full frame. On the other hand, Samyang enters a niche. Tamron and Tokina don’t currently have a lens of these parameters in their offer. 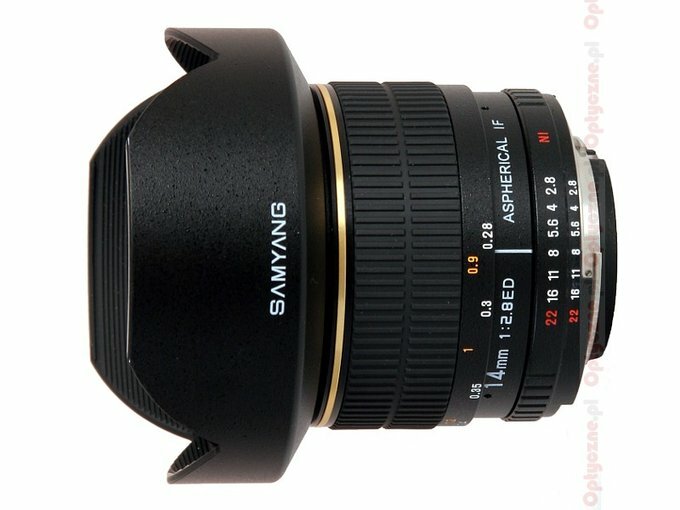 Sigma’s recently withdrawn its 14 mm from production. There are brand-name lenses still on the battlefield, but here the price’s often a limitation. Canon does have a new 14 mm f/2.8 L, but when buying it, we need to accept its price of at least 2000 $. 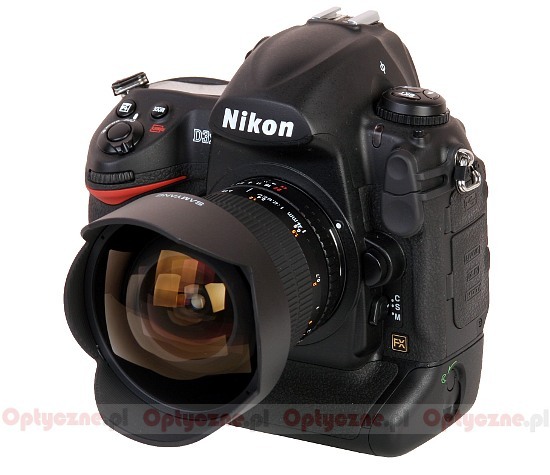 In the case of Nikkor AF 14 mm f/2.8D ED our wallet will become thinner by 1700 $. Pentax DSLR owners are in the best position, as they can, for about 700 $, buy the DA 14 mm f/2.8 ED [IF] model. Sony owners don’t have the possibility of buying a new rectilinear lens giving such a large angle of view with f/2.8 speed. The situation’s not easy, no wonder, then, that everybody welcomed almost parallel announcement of Falcon and Samyang 14 mm f/2.8 lenses with interest. The interest was even bigger, as the new product is supposed to retail for around 300 $, so a couple of times cheaper than the lenses of competitors. As we got the new lens very quickly in our hands, thanks to lightning reaction of FotoTip, we can now present its full test. We invite you to read further chapters. Strona wygenerowana w 0.153 sek.